One of the most recognized faces of survival and outdoor adventure. European Vice-President for Twitter, host of the UK's number one business podcast Eat Sleep Work Repeat and best-selling author of The Joy of Work. Known worldwide as one of the most-recognized faces of survival and outdoor adventure. 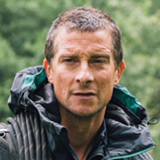 BAFTA award winning TV host Bear Grylls began his journey in 21 SAS before becoming one of the youngest-ever climbers of Mount Everest. 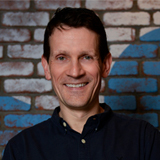 He is a number 1 bestselling Author, an Honorary Colonel to the Royal Marine Commandos, the youngest ever UK Chief Scout and the first ever Chief Ambassador to the World Scout Movement, representing a global family of some fifty million Scouts.